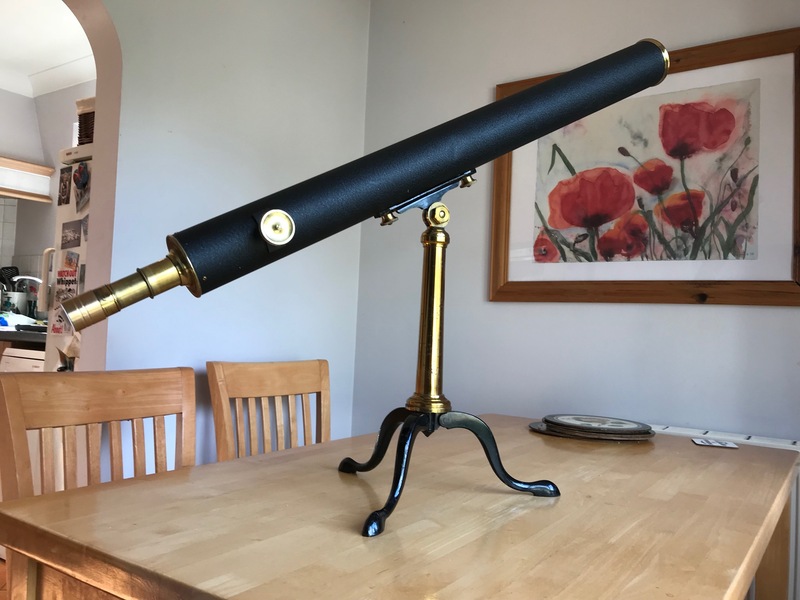 When i picked up a 3″ Samuel and Benjamin Solomons refractor for £100, I decided to remove the blue and black paint and refurbish the tripod and mount. Well why not! 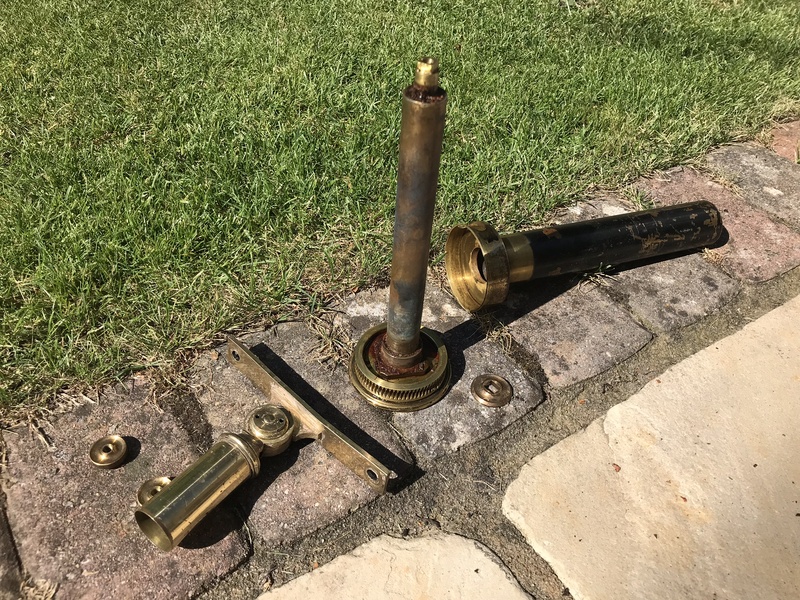 Now the clean and tidy-up is almost complete, here are some pics of what was under the paint! 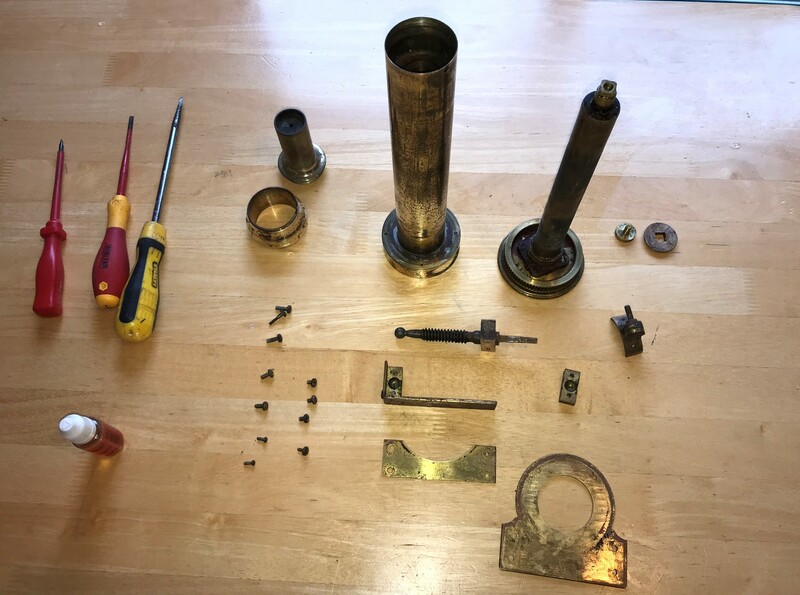 Solomons refractor telescope – the re-assembled scope. 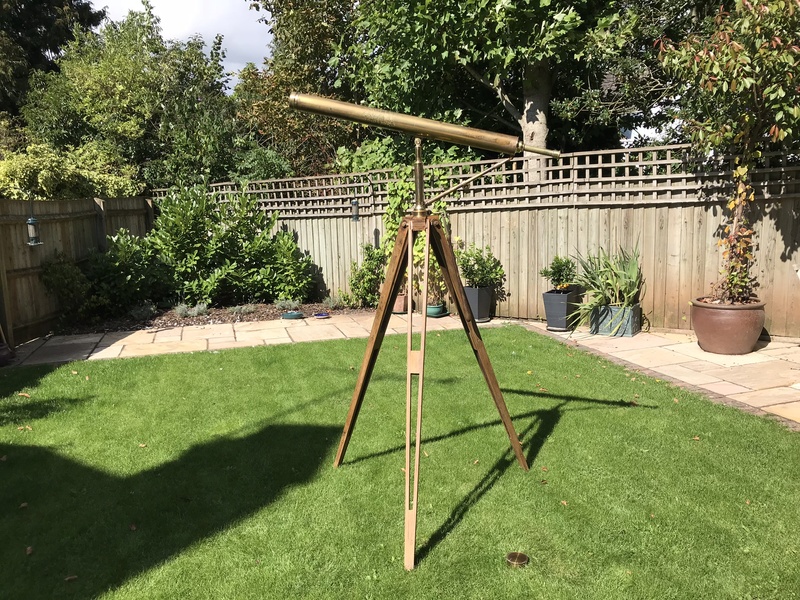 Solomons refractor telescope – the re-assembled scope. It has led a hard life! 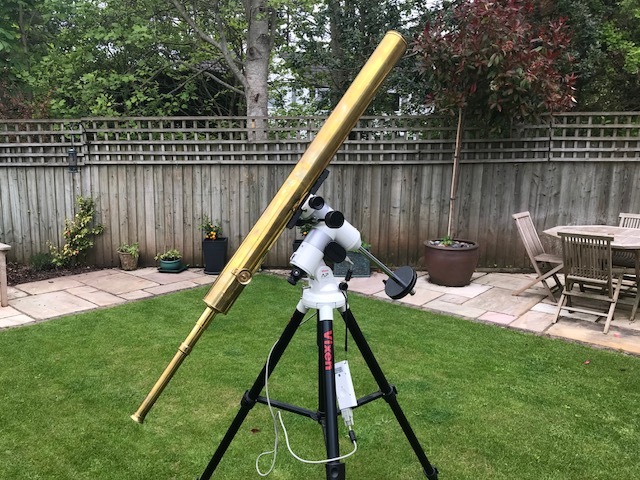 S&B Solomons Refractor – azimuth gear sees the light. 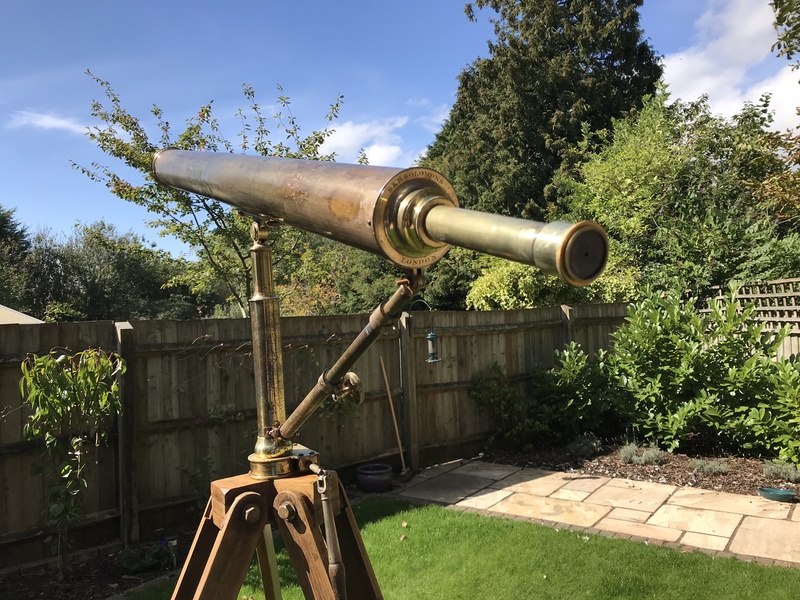 S&B Solomons Refractor – hot water loosening paint. 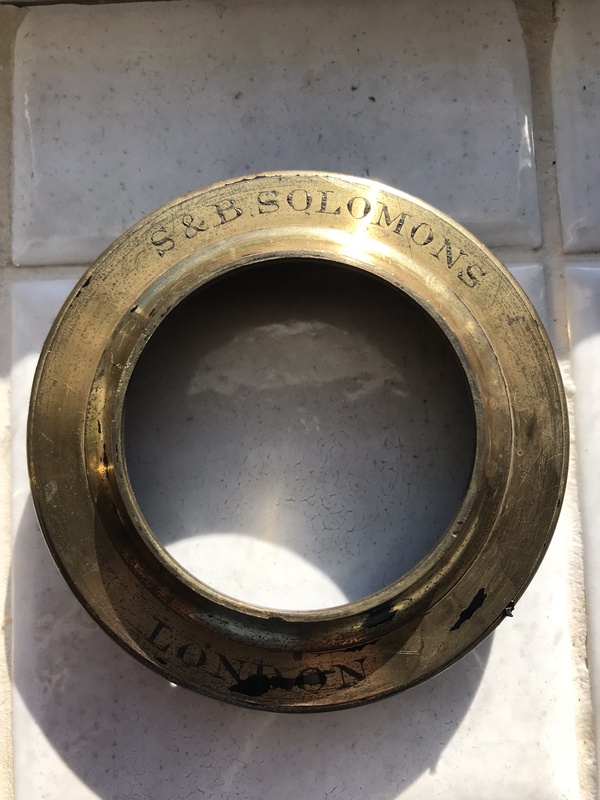 S&B Solomons Refractor – nameplate, now minus most of paint. 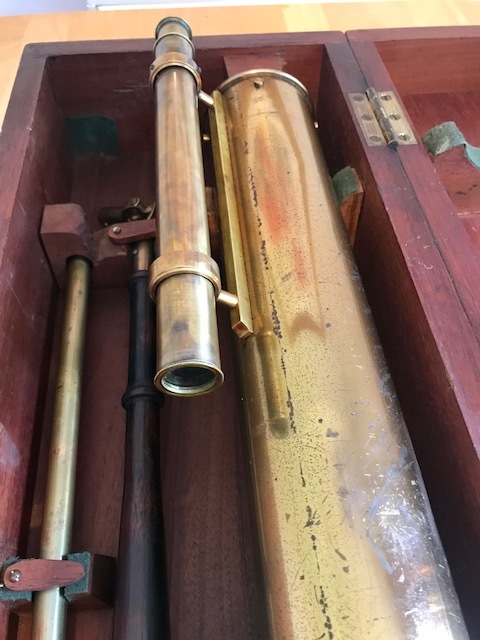 S&B Solomons Refractor – parts list! 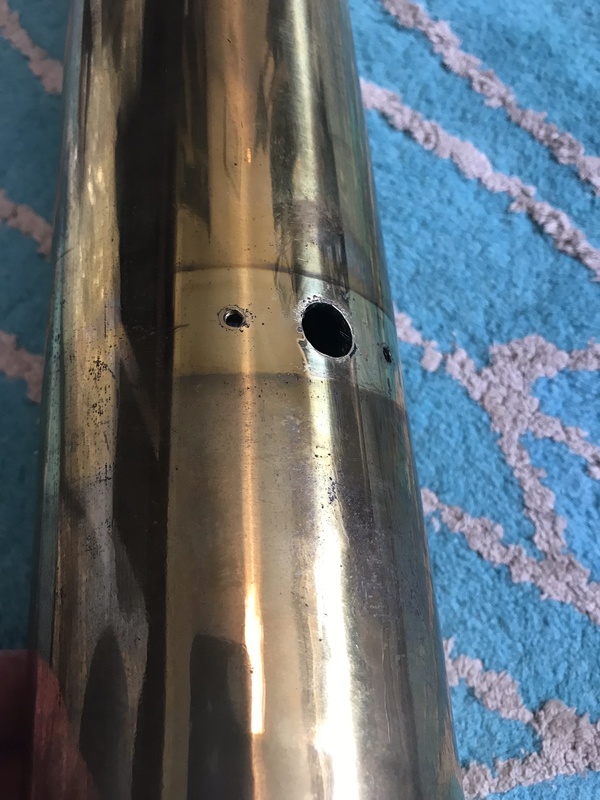 Note to self: keep track of exact location of myriad screws during disassembly. Different threads and sizes abound! 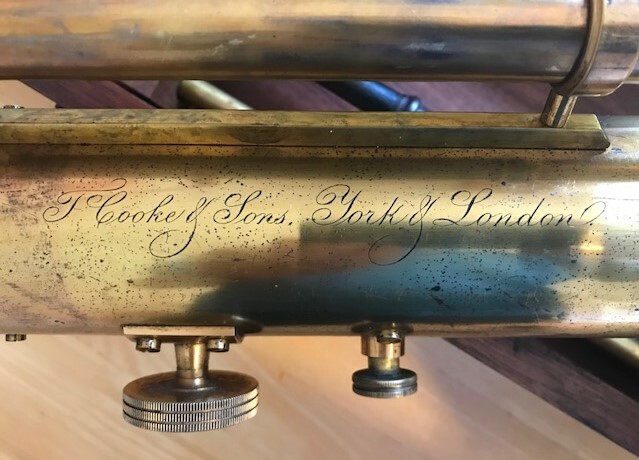 This scope dates from the 1860s, and was made by the famous English telescope maker Thomas Cooke and Sons. It’s a beautiful thing! 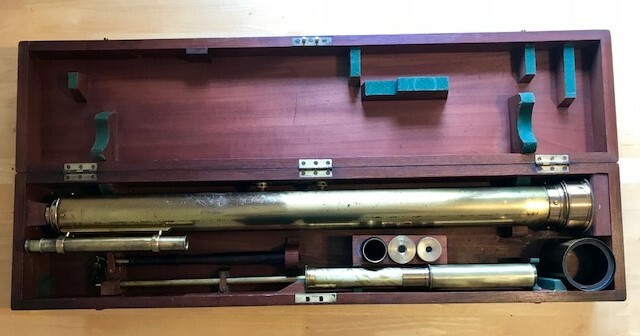 The contents of the wooden case, including 2 astronomical eyepieces, one terrestrial eyepiece, and adapter tube, 2 rods to control the mount, the dew shield and the main tube assembly. 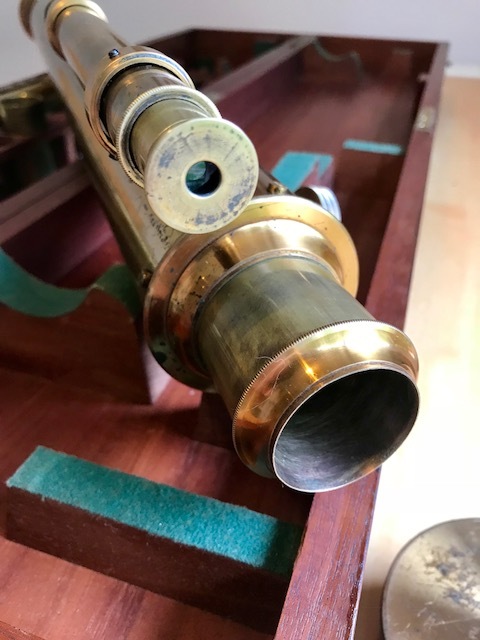 Close-up of the finderscope. 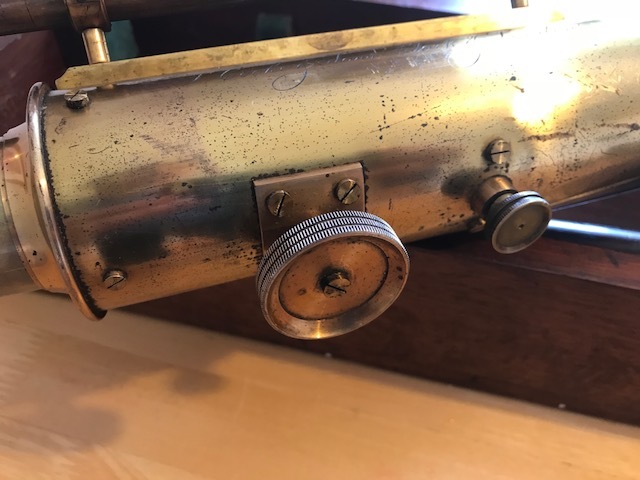 It has a push-pull focusing mechanism. Dew-shield. 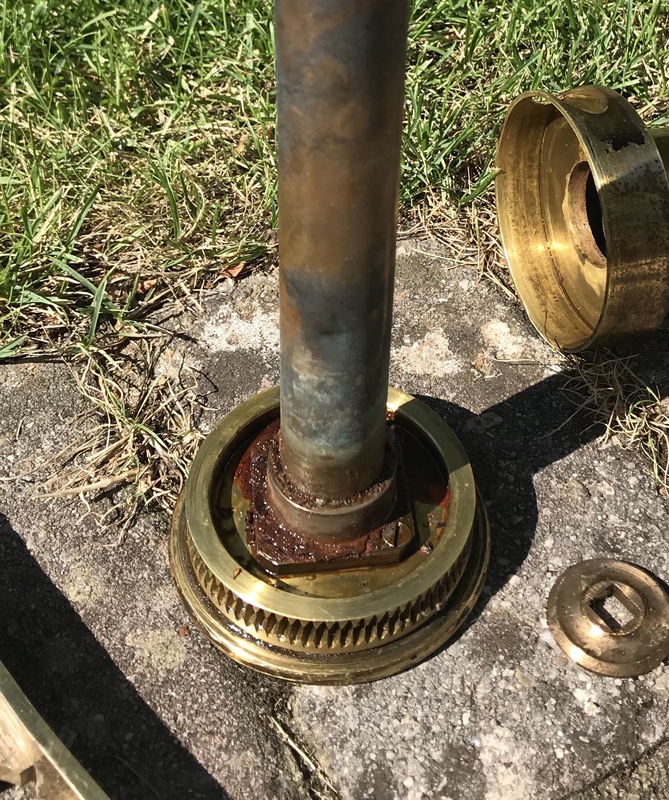 Note the reducing or “stop” ring. 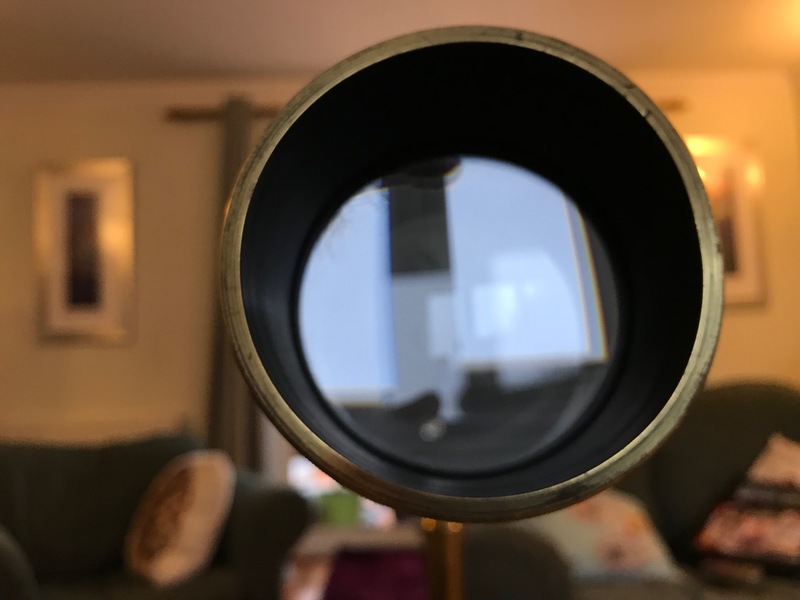 The resulting aperture does not impinge on the objective lens itself. 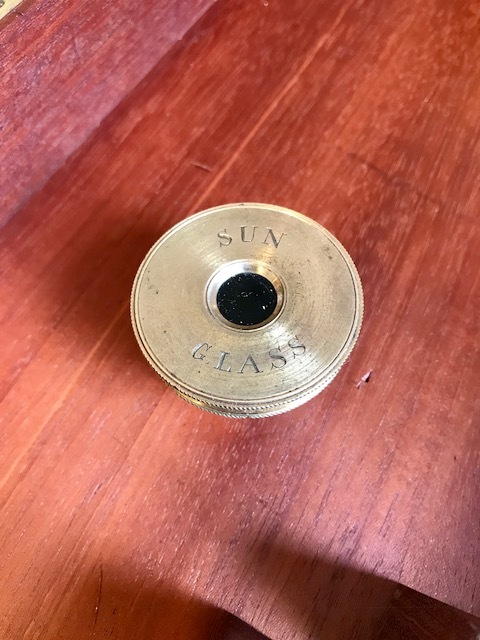 Sun glass. 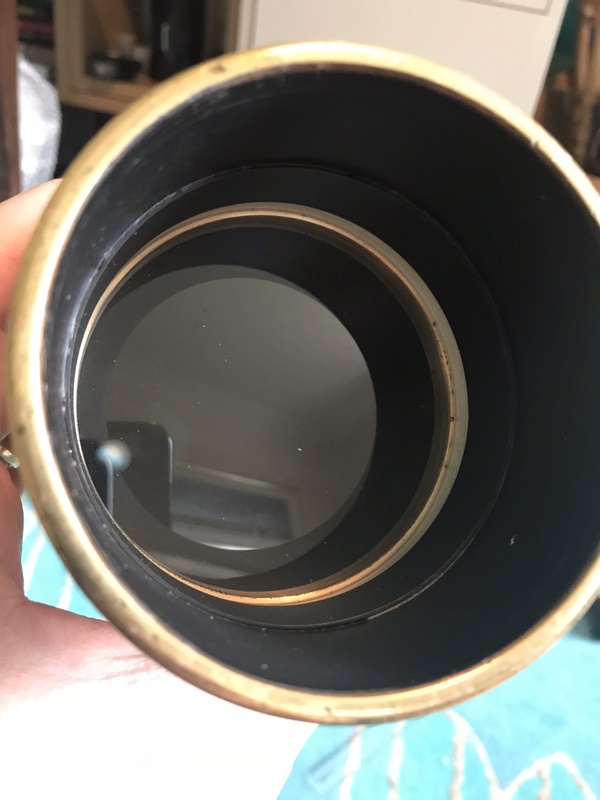 Very dark – apparently opaque black glass push-fit filter which slides onto the eyepiece. As bad an idea in the 19th Century as they are today. 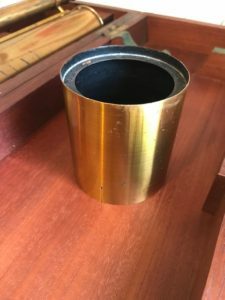 DO NOT USE SUN FILTERS like this. 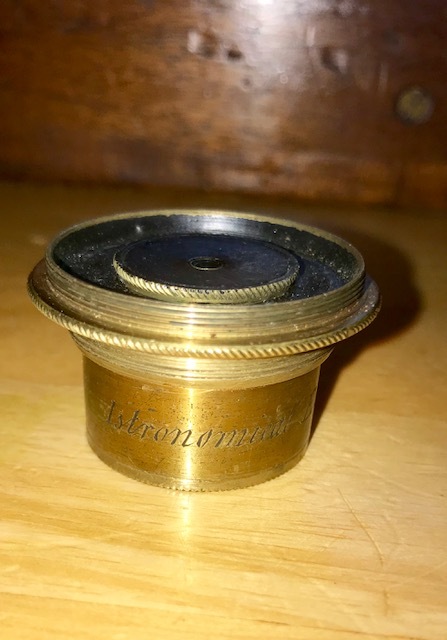 This eyepiece has the curious text “Istronomical Eye Piece” written on its barrel. 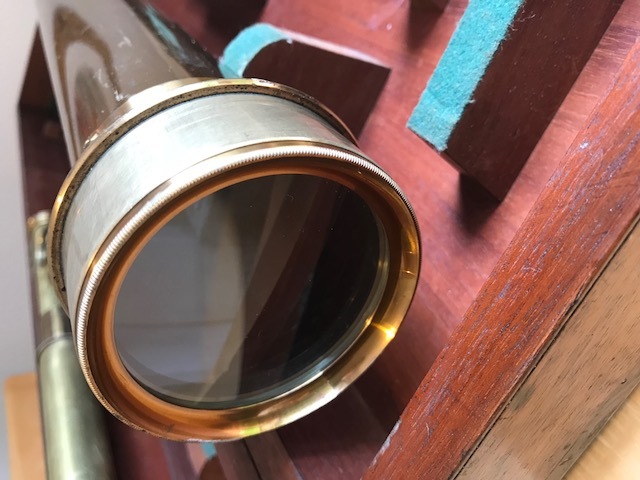 The dew-shield slides over the lens cell, with a slit in the barrel allowing for a secure fit. 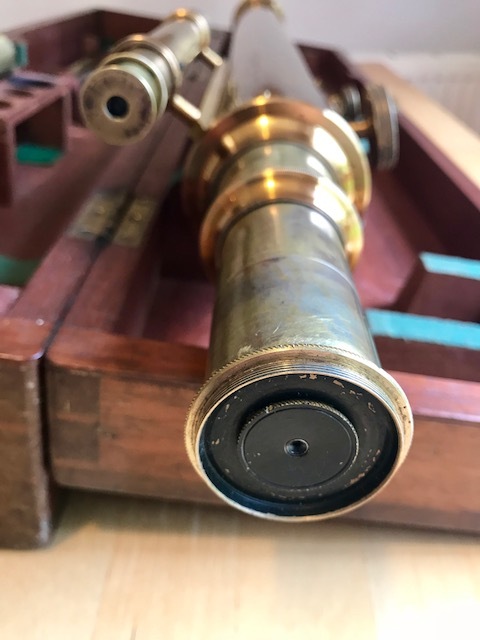 Focuser draw tube and finderscope eyepiece, the focus of which is adjusted with a push pull action. There are no crosshairs. 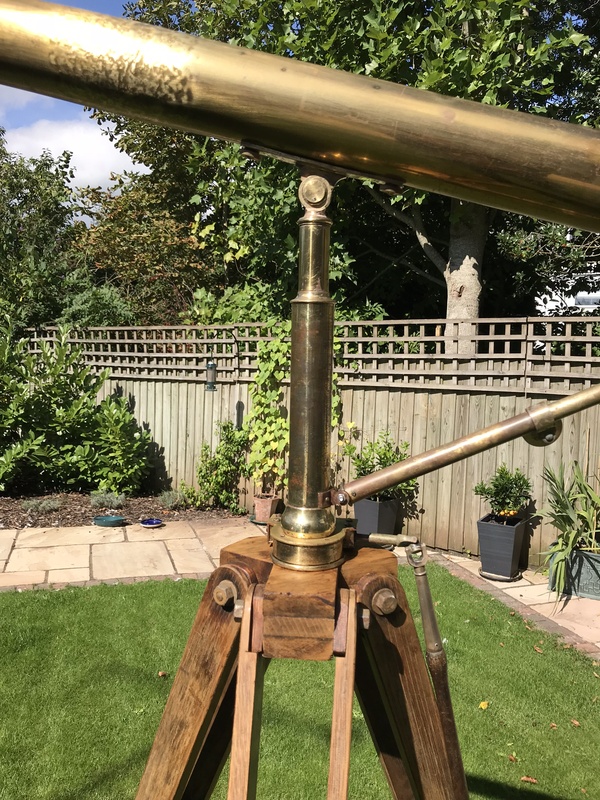 The astronomical (or is it istronomical?) 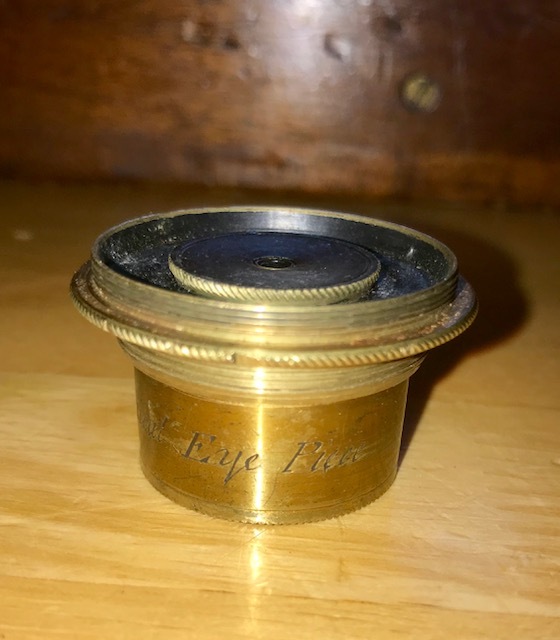 eyepiece. 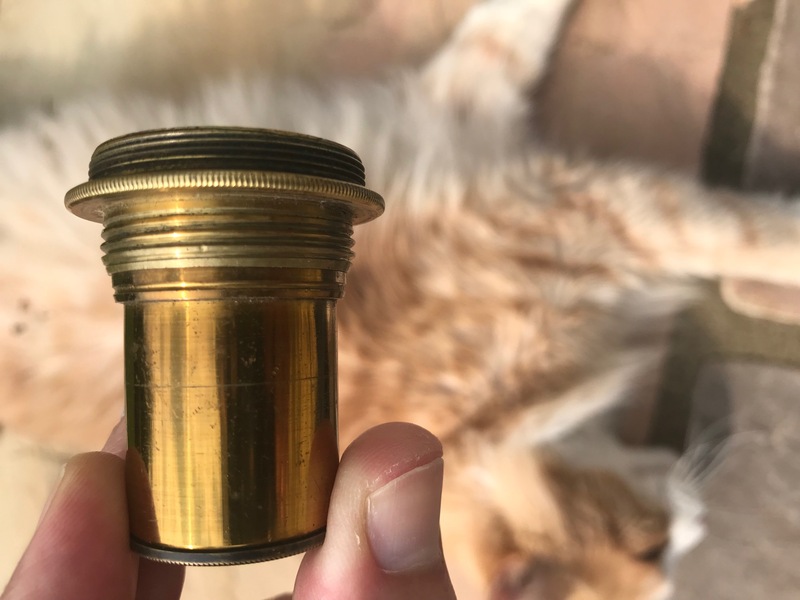 It screws into an adapter tube which itself slides into the drawtube. Expect minimal eye relief! 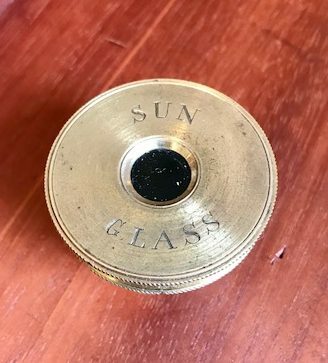 Eyepieces and adapters fit neatly into felt-lined fittings in the case. 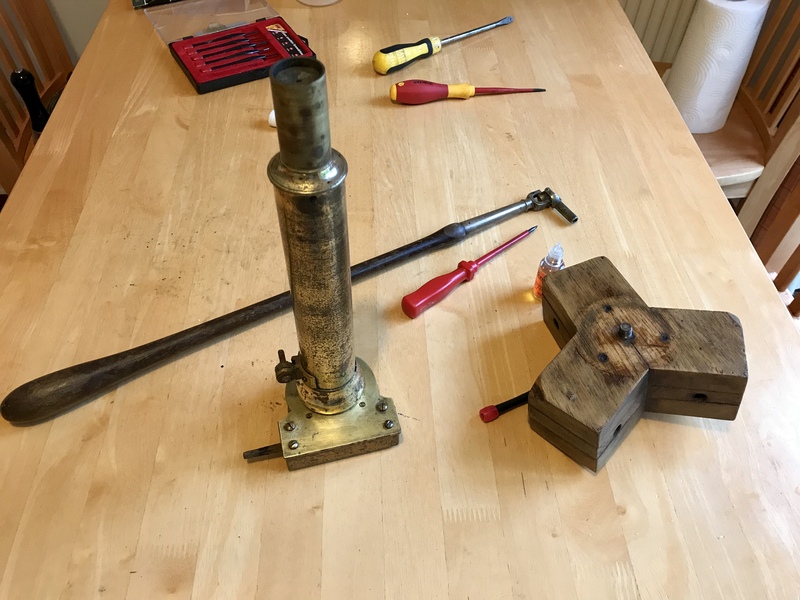 The two control rods, one used to rotate the mount in azimuth, and the other to brace it in elevation. Both held securely in the case. 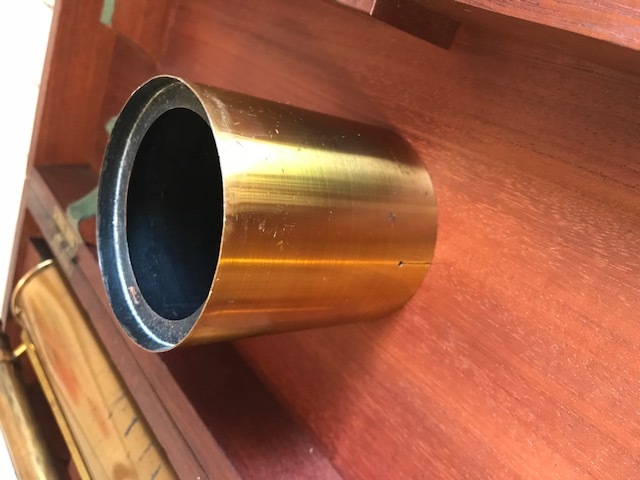 The sturdy brass alt-azimuth mount of the Cooke telescope. 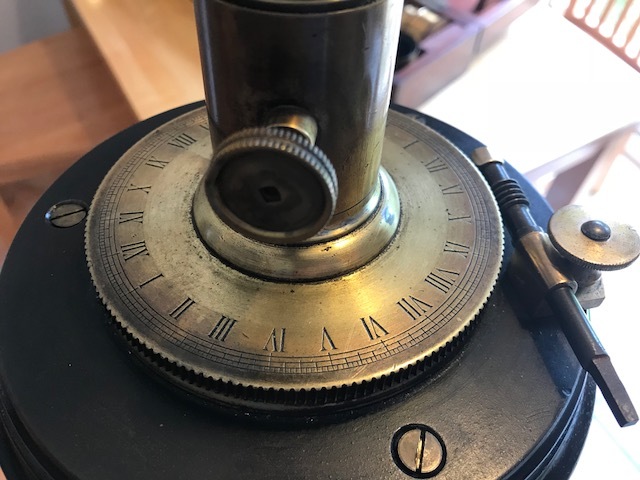 The mount’s worm gear, engraved in Roman numerals. 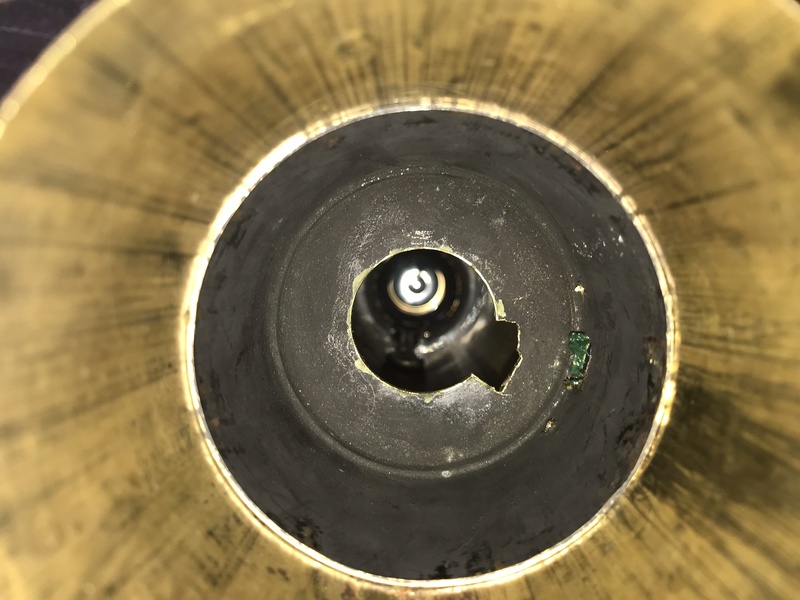 The control rod attaches to the shaft of the gear, lower right. 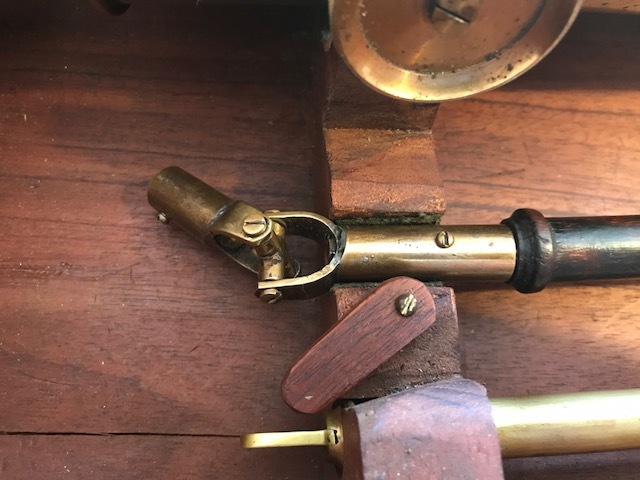 The knob allows to engage or disengage the worm, like a clutch on a modern equatorial. 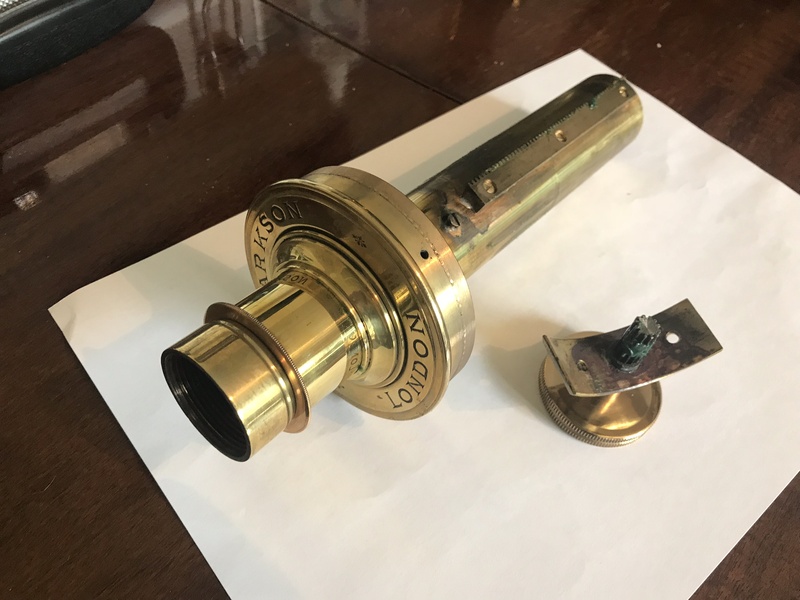 The hardwood case includes three brass hinges and a four lever lock. 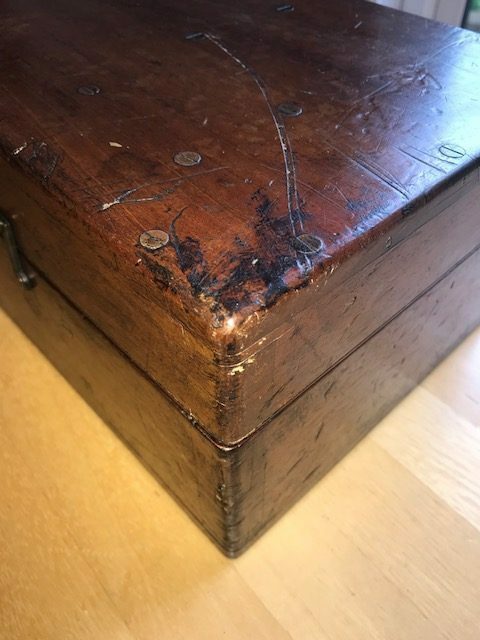 Well used but still protecting its contents. 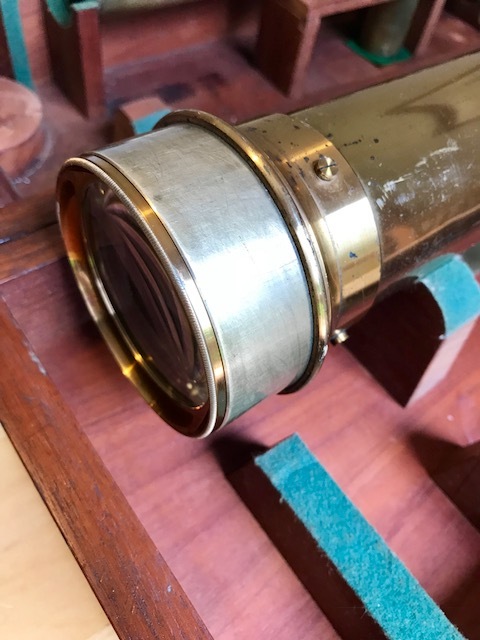 It’s a terrestrial scope with no finder and one of those 20cm long rectifying eyepieces to turn the image right way up. 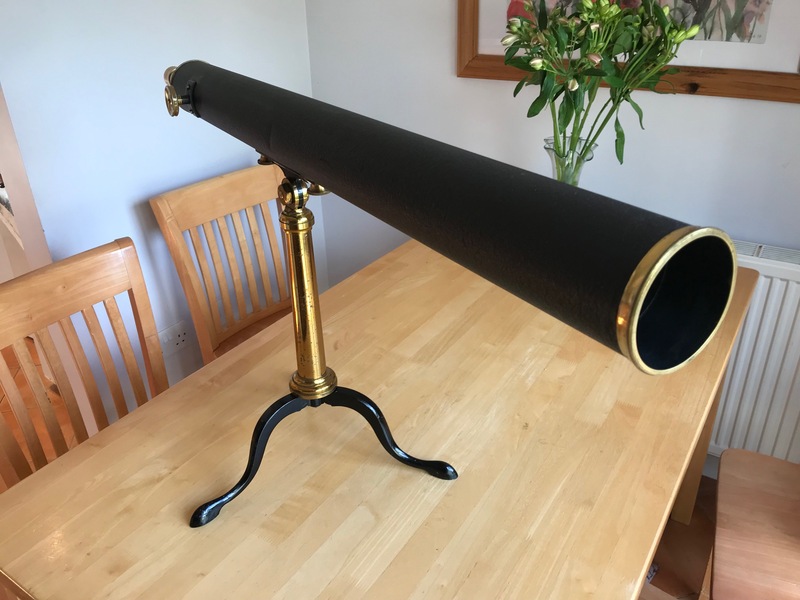 Almost mint and an auction bargain at £60. 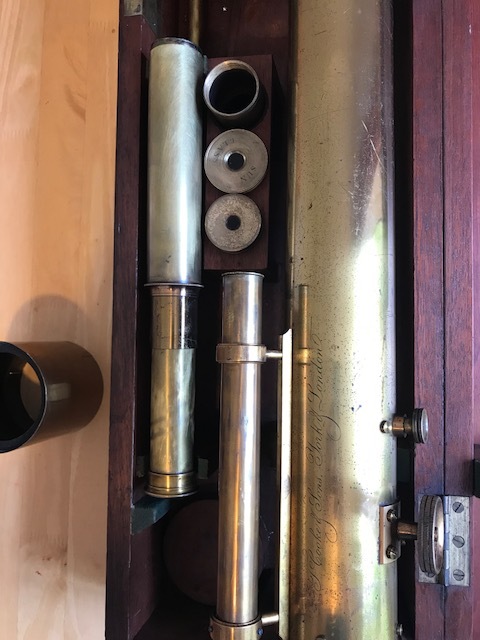 The name ages it to the 1890s, give or take. ‘Tis a lovely thing! I just need a suitable mount. 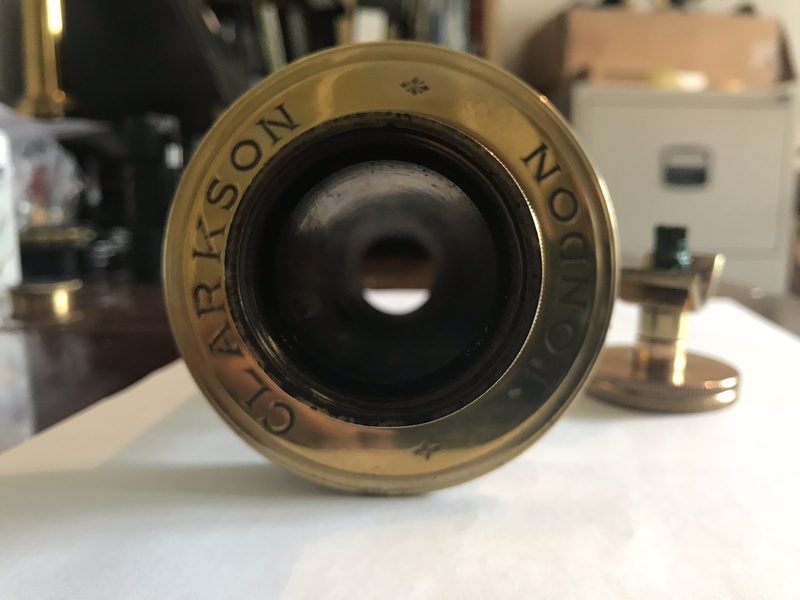 Clarkson refractor baffle and slot for focuser rack. Not the tidiest job. 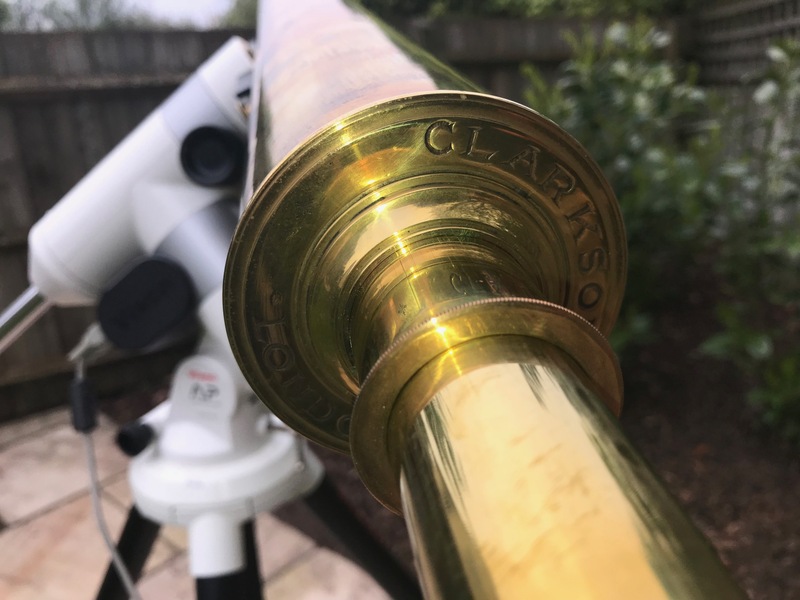 Clarkson telescope meets Vixen equatorial! 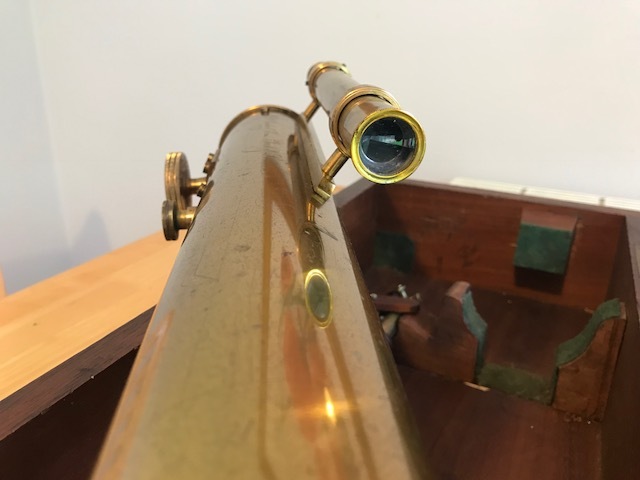 I managed to attach the OTA to a dovetail bar having drilled out the holes to match those protruding from the scope. It’s a solid fit, which is a good job as the tube weighs over 3 kg. 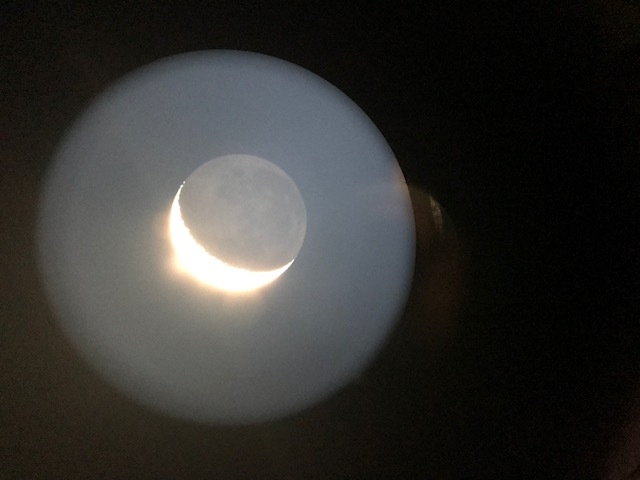 iPhone shot through the eyepiece – albeit a “modern” Halloween plossl. 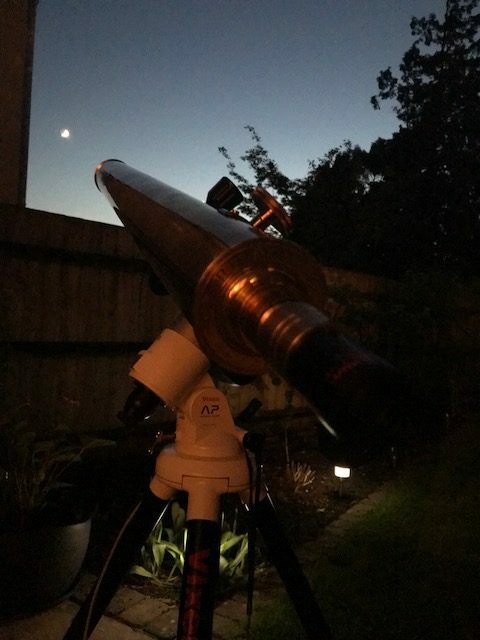 Clarkson refractor telescope at sunset. 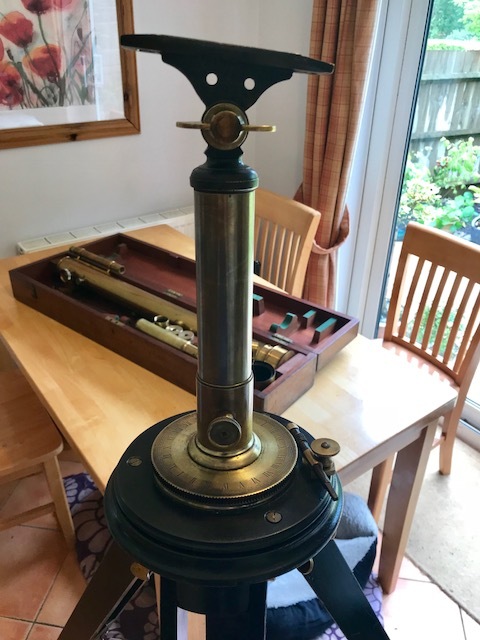 A different 3″ Broadhurst Clarkson library telescope, this time on a pillar and claw stand. Around 1920. 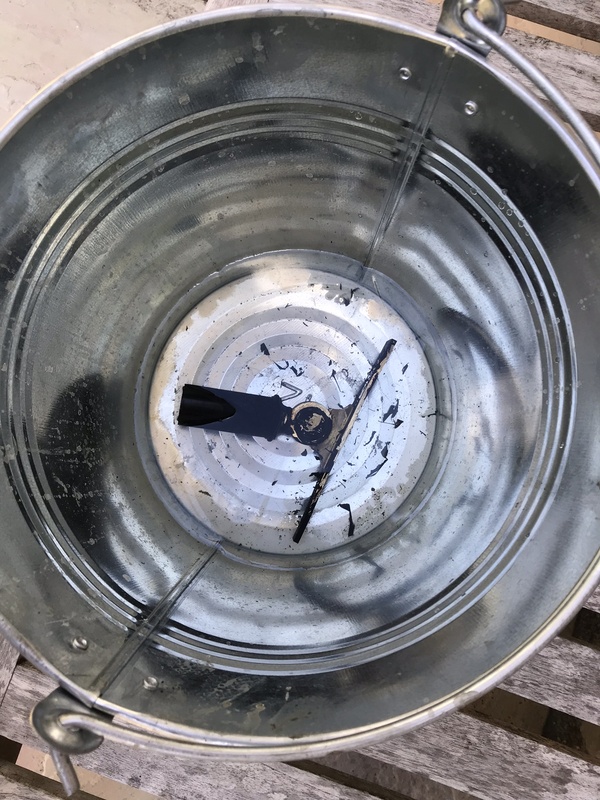 Black crackle paint finish. 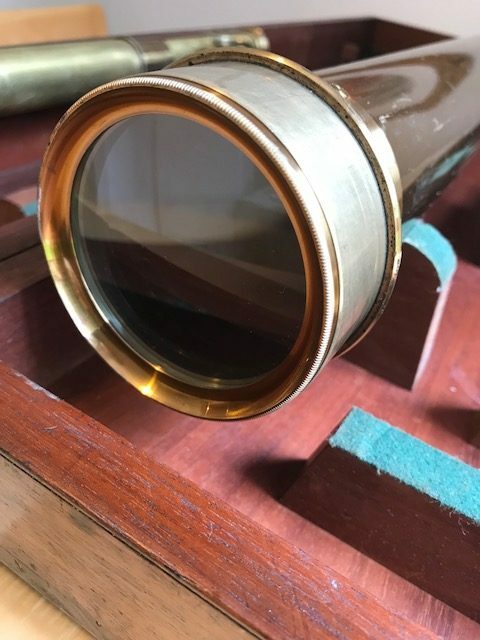 RAS eyepiece. A Huygenian design. 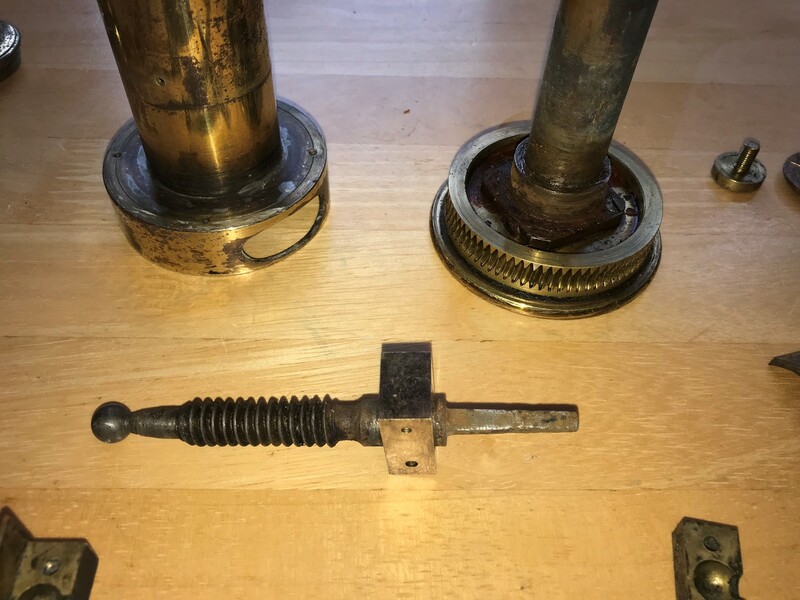 Screw thread. Eye relief almost nil! 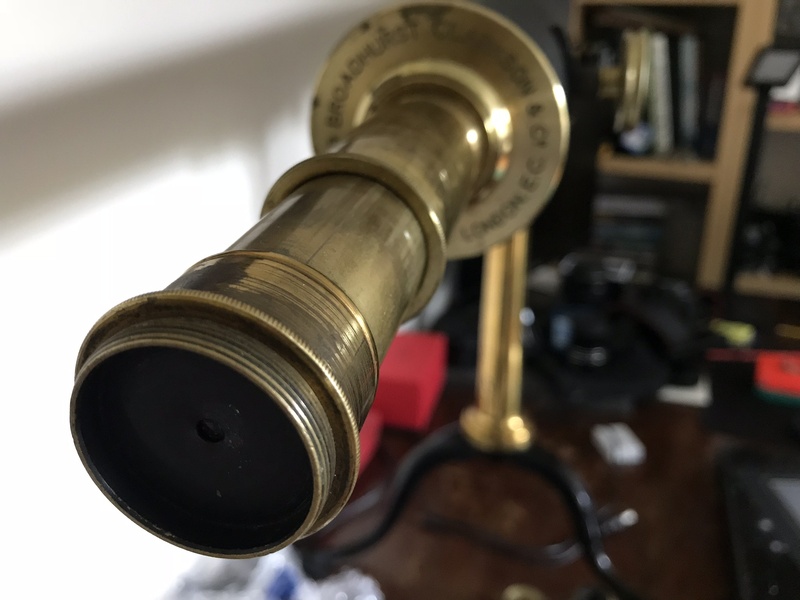 The eyepiece may not be a great performer but it looks fantastic. Unless you are a cat. 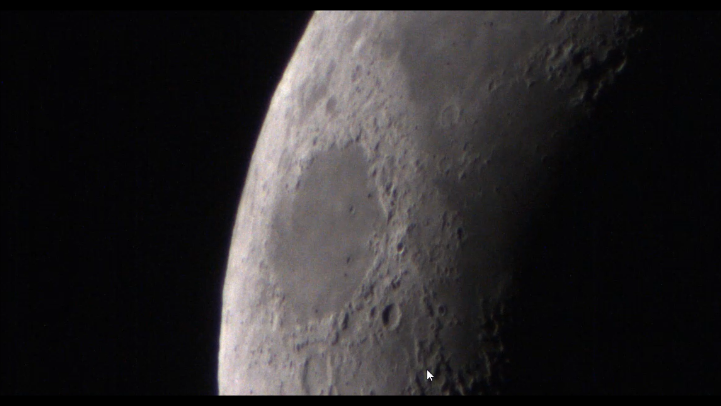 Snapshot from a video taken through the 3″ Broadhurst. Good optics.